Buy Suma Organic Coconut Flour 500g in the UK from our online shop or directly from our independent Scottish store. Organic Coconut flour can be used to make gluten free bakes and biscuits. Try this delicious gluten free buckwheat & coconut bread from A. Vogel toasted or served with (dairy free) cream cheese. This recipe contains 50g coconut flour. Where can you buy real Coconut Flour - Gluten free safely online? If you are wondering where you can buy Suma Organic Coconut Flour 500g safely online in the UK, then shop with us. 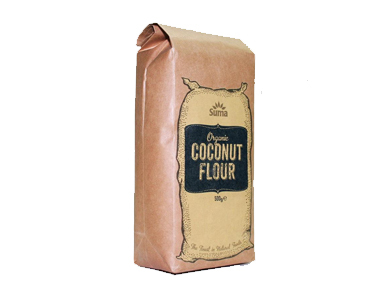 Coconut Flour - Gluten free - Suma Organic Coconut Flour 500g in Gluten Free Flours & Mixes and Baking.